Your New England Aquarium membership gets you express admission to see your favorite exhibits and animals on Central Wharf. 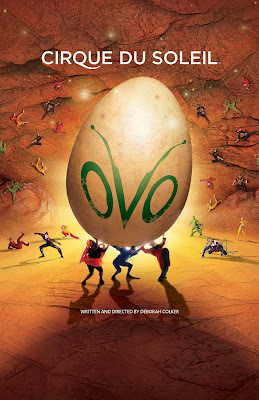 Now your membership is getting you exclusive savings to see the critters in Cirque du Soleil’s touring production of OVO! Cirque du Soleil is offering our members 20% off tickets from Level 2, or 30% off Level 3 tickets for select performances. OVO is performing for a limited time under the trademark blue-and-yellow Grand Chapiteau (Big Top) at Fan Pier and Pier 4 on Boston’s New Waterfront. This link will take you directly to the discounted ticket page for the select performances. Enjoy the show!